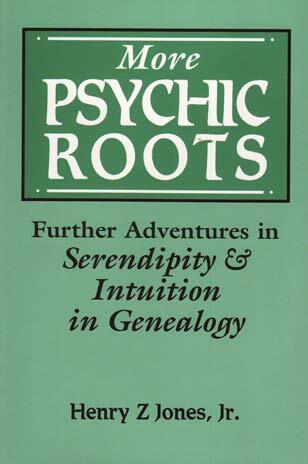 Like the original volume (Psychic Roots), More Psychic Roots contains a collection of stories and experiences contributed by genealogists the world over--hobbyists as well as professionals. Thus in these pages we have the insights of 225 ancestor hunters from such countries as Canada, Mexico, Germany, England, Australia, New Zealand, and, of course, the U.S.A.--all of whom discuss their experiences in light of synchronicity, intuition, genetic memory, and serendipity. If you liked the first volume, you will positively delight in this sequel, which is guaranteed to enliven the debate about serendipity and intuition in genealogy.